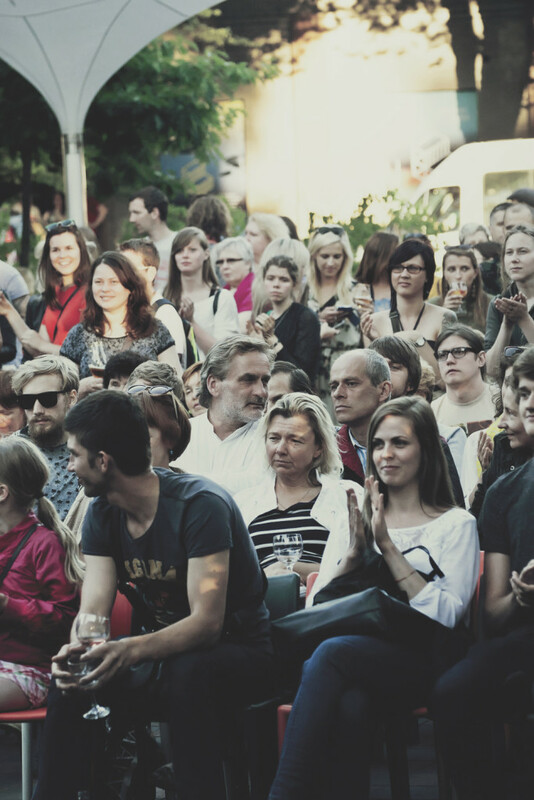 On July, the 2nd, SHAPE artist Martins Rokis gave a performance at an open air event at the Kalnciems Quarter, organized by Riga’s Skaņu Mežs festival. Stream the entire performance below. Although also known as N1L, in this occasion Rokis performed under his real name, preferring a relatively more abrasive, raw and confronting sound than that of this techno-oriented project, the debut EP of which was published on Lee Gamble’s new label UIQ. But neither does this performance quite resemble any of his earlier computer music – in fact, it’s somewhere in the middle between his two fields of musical activity, bringing references to dance music, noise and even metal into this otherwise abstract and free-form musical work. The Kalnciems quarter is a creative block, based in a district that’s especially rich with Riga’s wooden architecture heritage. Other artists on this concert evening were the American trumpet player Nate Wooley and dark electronic music producer Dubna (as well as some person named Sportcat with a DJ set). The recording was made by Māris Butlers. Photo by Kristiāna Zelča.